The latest Motorola-made, Google Android-powered smartphone combo, the Motorola Backflip, now has a promotion video to accompany it. The Motorola Backflip features a 3.1-inch touchscreen display, a 5-megapixel camera with LED flash, 3G connectivity options, 2GB of internal memory, Wi-Fi (802.11 b,g) and Bluetooth 2.0 connectivity options, a 3.5 mm headphone jack, and a microSD memory card slot that offers support for up to 32GB of additional storage space. The new ad displays the Motorola Backflip doing—what else—some flipping. This new handset features a hinged front screen which flips up to a full-QWERTY keyboard inside. 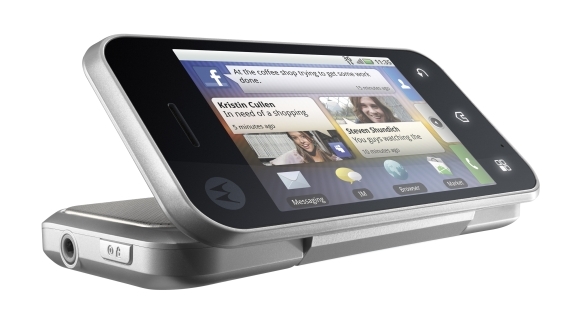 The Motorola Backflip is rumored to launch via AT&T as soon as March 7 with a price tag of $324.